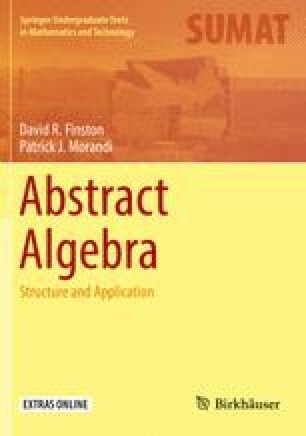 In this chapter we explore another connection between algebra and geometry. One of the main issues studied in plane geometry is congruence; roughly, two geometric figures are said to be congruent if one can be moved to coincide exactly with the other. We will be more precise below in our description of congruence, and investigating this notion will lead us to new examples of groups. The culmination of this discussion is the mathematical classification of frieze patterns and wallpaper patterns based on the structure of the groups that arise.